Several of these tracks are recreations of musical themes I heard in dreams. Music in my dreams is very repetitive, and this music reflects that. Many of these tracks come from very early in my career, the most recent is five years old now. Ambergris. Probably recorded around 2001. Stretch of Logic. Recorded in 1999. Previously released on the compilation "Squeezing Being" (Wholeness Recordings 2000). Veronica Speedwell. Recorded in 2007. 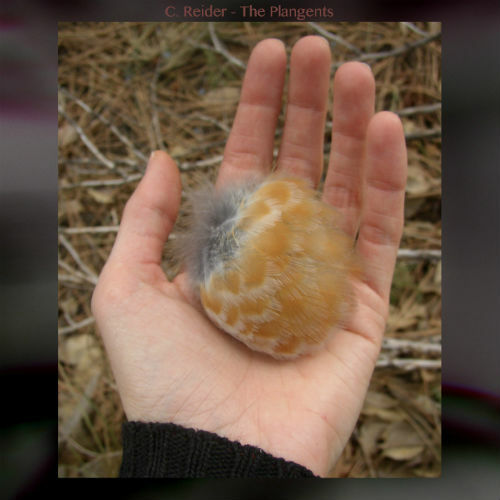 //////// C. Reider is a composer living in Northern Colorado, he is the manager of Vuzh Music. More about him here: http://vuzhmusic.com/artists/reider.html. Cover photograph is by C. Hodges. The Plangents by C. Reider is licensed under a Creative Commons Attribution-NonCommercial-ShareAlike 4.0 International License.